The idea that art comes from within the artist and is not merely a spectator's projection of the outer world, spawned a new artistic movement in Europe, the expressionist movement. Partly a reaction against the prevailing artistic standards and partly a response to lost connect and spirituality of the modern world, the art-form employed exaggerated brushstrokes to convey the emotional and psychological state of their subject. 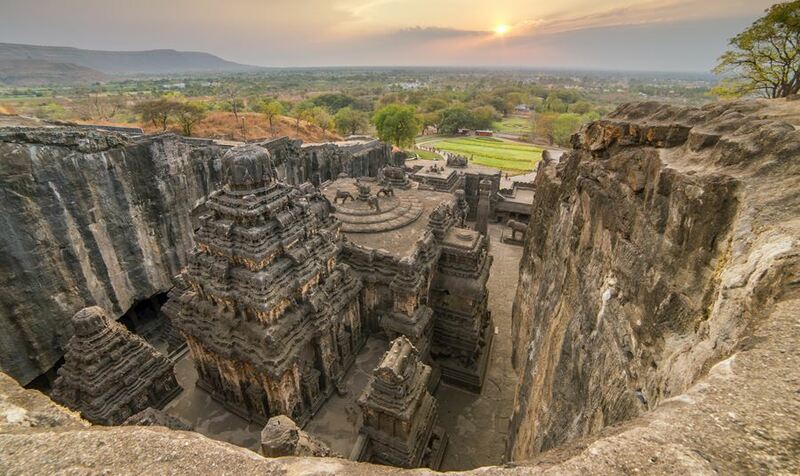 About a hundred kilometres from Aurangabad, in a river gorge, lies hidden the caves of Ajanta. In them survives a particularly fine specimen of the expressionist art form. These wall paintings have been the source of inspiration for ancient paintings all over Asia. Dating back to the 2nd century BC and created over a period of many centuries, the wall-paintings depict the past lives of the Buddha and are heavily influenced by the philosophical traditions of the Upanishads. The artists in these paintings, did not strive to depict the world around them, as Indian philosophy looks at the world around them as illusion or Maya. Rather, what we do see in the works of these ancient masters, is an effort to reach out to the beauty of forms and depict the passing of time as a narrative flow, extending from left to right, or top to bottom wall of the cave. The postures, forms and curvature of the figures express emotional experiences the artists seek to convey. In the ancient world, these caves served as a monsoon retreat for the Buddhist monks and thousands of years later, the place still comes alive with the monsoon showers. A visit to these caves will offer tourists a glimpse of artistic and aesthetic benchmark set for us by the generations that came before us.